The E-Flood FireBox has all the features of the Streamlight Litebox with the addition of two rear blue LEDs so you can be seen from behind. Six LEDs spread light over an entire area. An extended run time – 18 hrs. 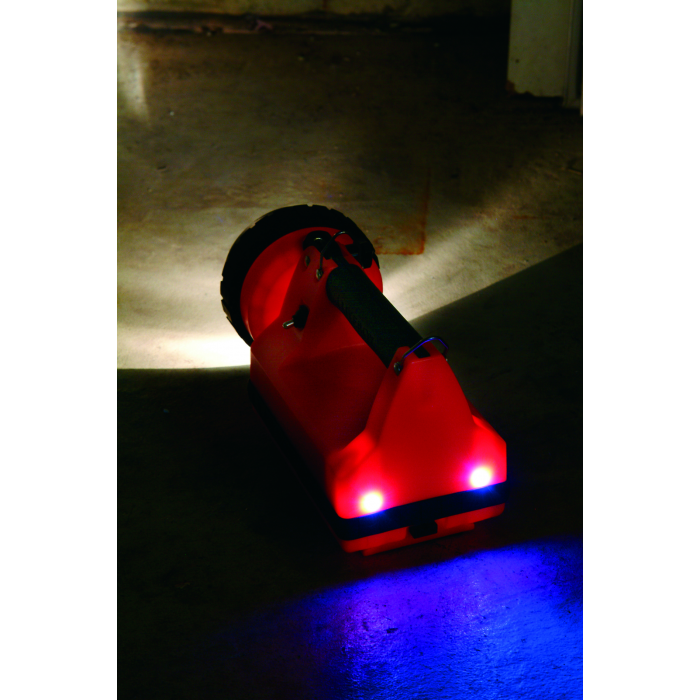 on low – allows you to keep large areas illuminated no matter qhow long your shift lasts. Swivel the head to point light where you need it. 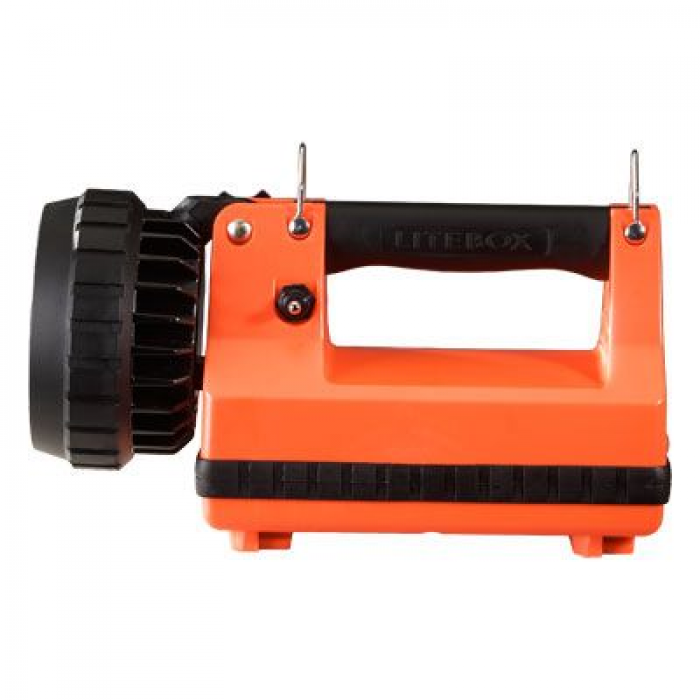 The Streamlight Firebox E-Flood® rechargeable portable lanterns are industrial-duty, featuring power LED technology for high brightness, long runtime and high reliability. These E-Flood® Streamlight flashlights use 6 LEDs and wide pattern reflectors to produce a uniform flood pattern. Market applications are for Fire & Rescue, Industrial Safety, Utilities, Emergency Medical Services, Homeowners, Sporting Goods, and Pest Control. 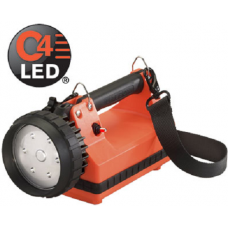 The E-Flood™ is an industrial-duty, rechargeable, portable lantern featuring power LED technology for high brightness, long runtime and high reliability. 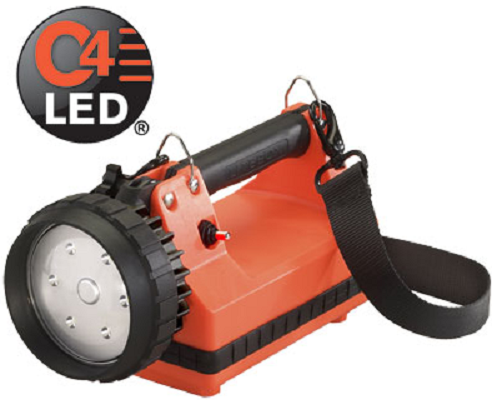 The E-Flood™ uses 6 LEDs and wide pattern reflectors to produce a uniform flood pattern. Jumper selectable high or low setting to allow selection of more light output or more runtime.